A couple of months ago, my youngest daughter stumbled upon this book at the library and was fascinated with the front cover. 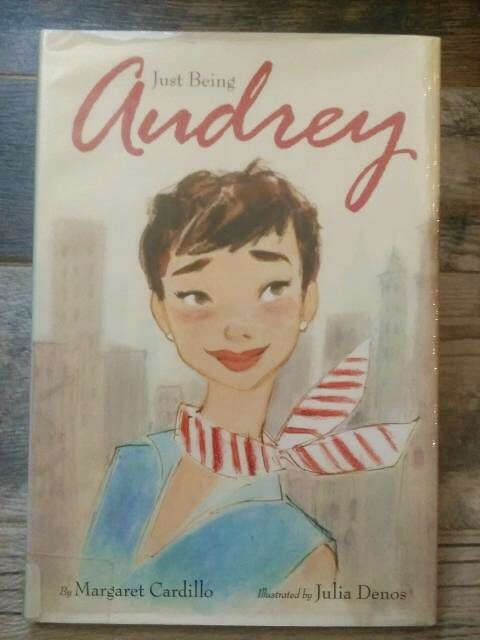 Of course, this biography book for children made it to our checkout pile and my daughters were wonderfully introduced to Audrey Hepburn. The illustrations inside were just as beautiful as the front cover. What made this book even more fantastic for me was when I suggested to my youngest daughter that she should draw her own version of the front cover and her eyes immediately lit up at the idea (my oldest daughter loves to draw and my youngest loves emulating her sister, so she’s a little budding artist as well.) 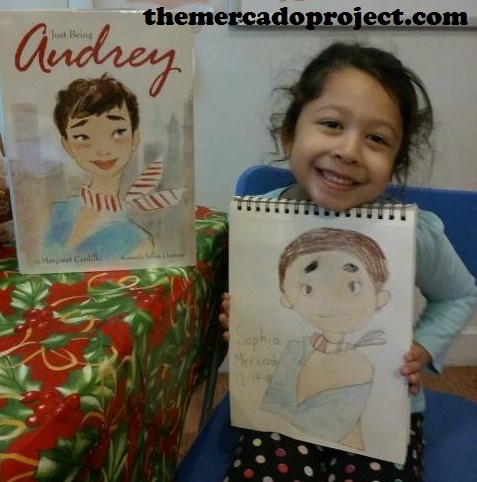 The very next morning she sat down on the floor with her drawing pad, a pencil and the Audrey book. Her concentration was fierce and it took all morning. I gave her space and didn’t peek once. Finally, she was ready to unveil her masterpiece. A book that teaches you about a great person and has illustrations that can inspire a 5 year old to draw her own version is a definite gemstone. Check it out at your local library and if they don’t have it, request it!